Below you can view all the homes for sale in the West Hills subdivision located in Henderson North Carolina. 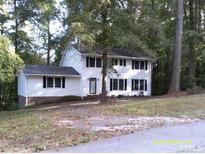 Listings in West Hills are updated daily from data we receive from the Raleigh multiple listing service. To learn more about any of these homes or to receive custom notifications when a new property is listed for sale in West Hills, give us a call at 919-230-8737. Nestled in the trees on 1.22 acre, open family room w/masonry fireplace, dining area & hardwood floors; kitchen w/eating counter & major appliances, master suite w/walk in closet, private bath & half w/shower plus attached sitting room/office; 2 other bedrooms w/two closets each, laundry room w/washer, dryer, laundry sink & closet; full basement w/double garage, fireplace, utility sink & plus possible half bath; back deck, patio area, paved driveway, Privacy plus convenient to shopping, medical, & I-85. MLS#2248876. 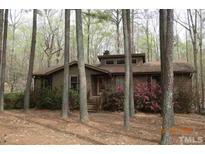 2415.
overlooking large wooded back yard from family and living room. MLS#2218690. 1012. These statistics are updated daily from the Triangle Multiple Listing Services, Inc. For further analysis or to obtain statistics not shown below please call Highgarden Real Estate at 919-230-8737 and speak with one of our real estate consultants.